Enjoy free admission to the 6th Annual Child Safe Community Day, presented by Jeff Ellis’ International Karate Centers, the North Coast Rotary Club and its’ student organization North Coast Interact. The event includes mini clinics on safety topics for young people and parents, including finger printing ID kits. There will also be photos with the Easter Bunny as well as an ice cream eating contest. The event takes place from 1 PM to 4 PM at Troy Intermediate School, 237 Belmar Boulevard, Avon Lake, Ohio. Call 440-930-2530 for more information. 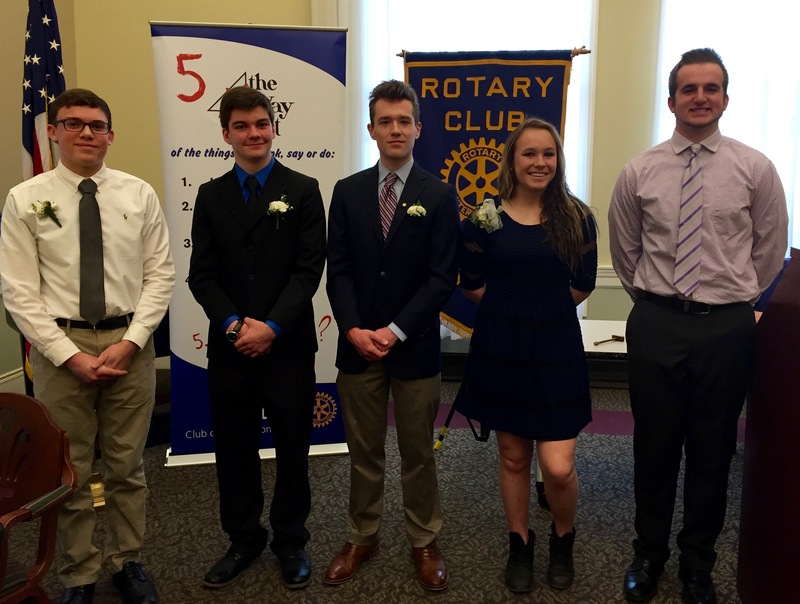 For High School Seniors from Avon High School, Avon Lake High School and Brookside High School, the Rotary Club Foundation will fund a total of six scholarships; one for each high school and one for each program – Interact and Strive. Scholarship applications are accepted beginning in March and decisions are made in May. Each high school guidance office has the scholarship application forms. Eligibility requirements include acceptance by and enrollment in a four-year college or university. 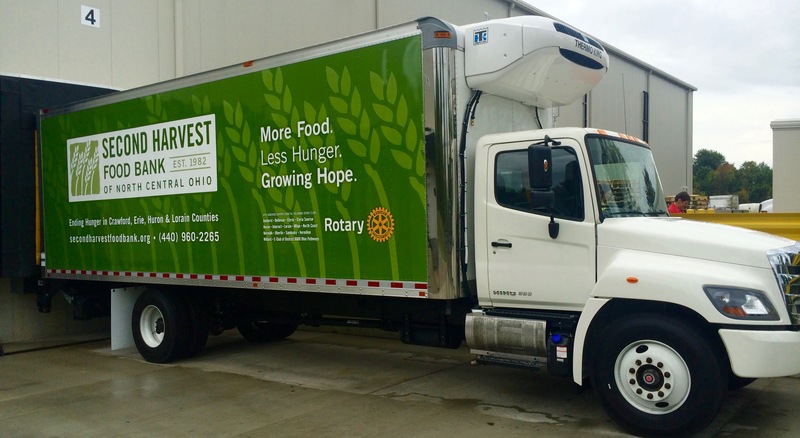 The Second Harvest Food Bank of North Central Ohio, has received a refrigerated truck purchased in part through a $36,000 donation by 16 area Rotary clubs and Rotary International Foundation. 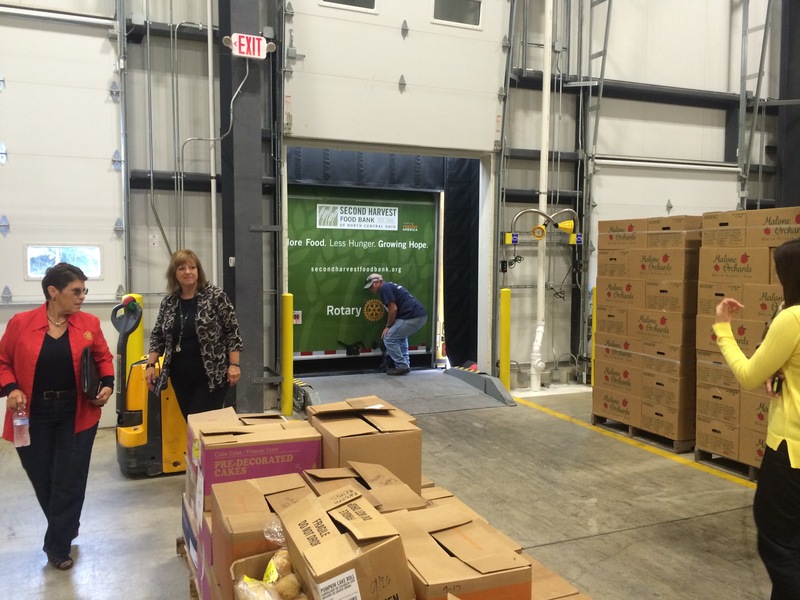 Second Harvest serves the counties of Crawford, Erie, Huron and Lorain. Rotary clubs support the organizations who receive food from Second Harvest, their “partner charities”. When Juliana Chase-Morefield, Executive Director, explained the need for a refrigerated truck which would allow delivery of fresh produce throughout the four counties, Rotary Clubs stepped up to help. 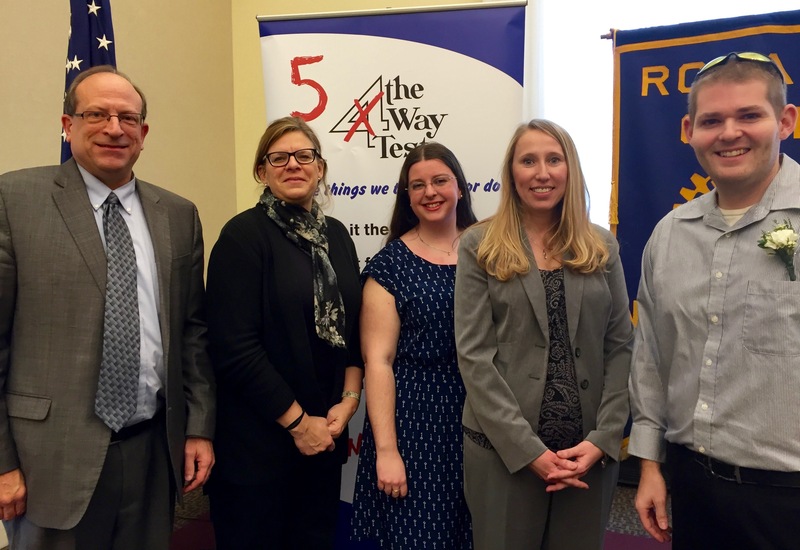 This was an opportunity to provide more sustainable support to the communities these Rotary Clubs serve. The new truck recognizes the generous support of Rotary Clubs of Amherst, Bellvue, Elyria, Elyria Sunrise, Huron, Interact, Lorain, Milan, North Coast, Norwalk, Oberlin, Sandusky, Vermilion, Willard and the Rotary E-Club. The truck will cover about 30,000 miles this upcoming year delivering about 1.5 million pounds of food throughout the region. As a result, about 400 families will receive fresh produce and groceries with each delivery.